Taking a breath is one of the first things necessary when moving through spaces. A breath of acknowledgement, a breath of noticing feeling, and then, moving into the next breath with intention, and choice, is the definition of a moment. I’ve practiced breathing since turning 30. A birthday present for myself was to go to a silent retreat and make breathing a practice. 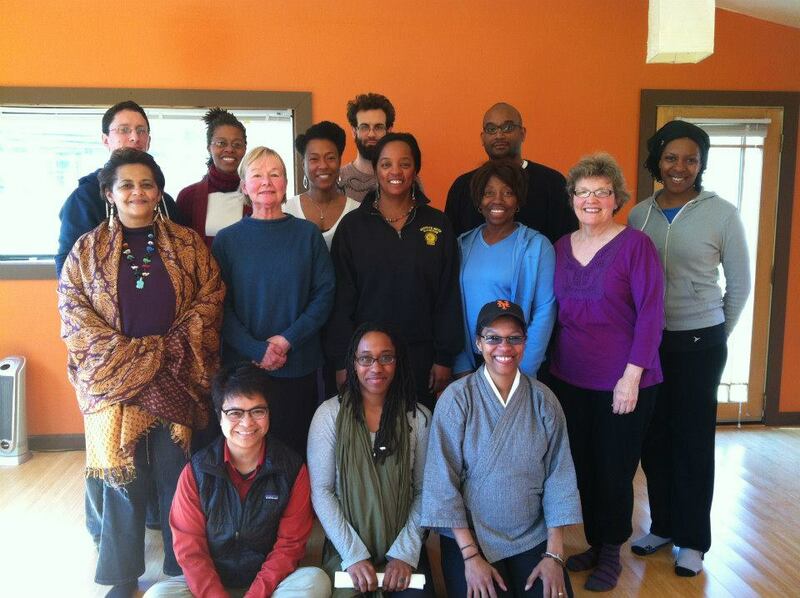 I was fortunate to have Alexis Pauline Gumbs’ FireWalkers: Black Women Doing Women’s Studies listserv point me in the direction of angel Kyodo williams and her 5-day retreat, The Revolutionary Power of the Ordinary at Stone Circles at the Stone House a center for spiritual life and strategic action in Mebane, NC. Indeed, it was transformative. I’ve returned for three weeks now, back into the swing of my usual life, busy Brooklyn. I wake, I sleep, in-between, I write, process collections, plan Rivers of Honey, approve messages for the queer housing listserv, meet with WOW Café Theater, help an event at the Lesbian Herstory Archives, and have deep conversations with a lover about her life changes. In the center of each moment, I take a breath. There is no other way to move from one moment to the next, experience a crying woman on the train, bypass an abusive interaction on a crowded Manhattan street, deal with a library complaint, then see a family member in brightness, without the breath. To breathe is to reconsider. To breathe is to calm oneself. To breathe is to notice the mind. To breathe is to feel the body. To breathe is to take hold of the tension, pain, fear, worry, unhappiness. To breathe is to let it go. To breathe is to begin again. Because here I am, and soon, I will be gone, there, and moving about again and again. In each step, I am present, I am there, I am here, I am everywhere, and no where, but inside of the breath. Gallery | This entry was posted in 30, Personal Reflection, Uncategorized and tagged 30, breath, breathe, guidance, healing, Journey - Passage - Travel - Place. Bookmark the permalink. how i miss you shawn. breathing indeed, the only way to bear pain, give birth, face the challenges, the sleep deprivation – giving up your your self, without loosing it.